Creating a world for moonpig. 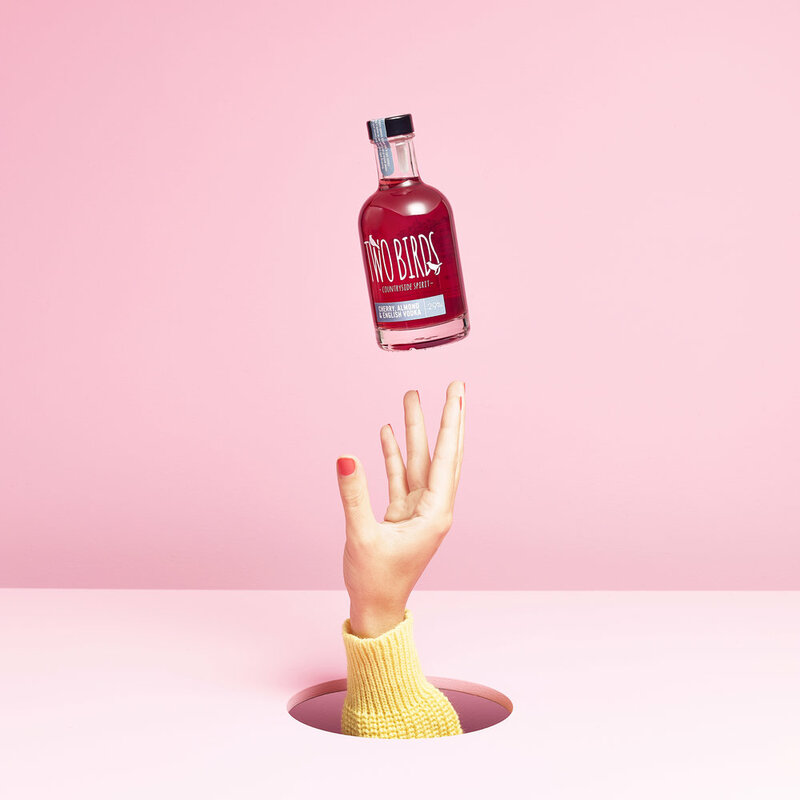 Working with the Creative Director and in-house creative team at Moonpig, we have completely overhauled the brand. Most of the work was done with our team embedded directly within the creative department, which was crucial to understanding the culture, customers, and vision for the business. 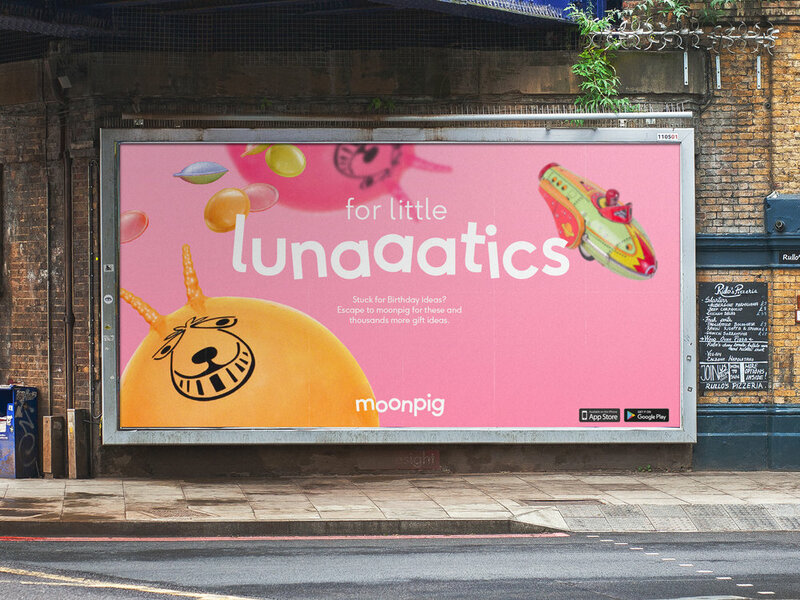 Building on their new positioning our idea was a simple one; create a whole new world for Moonpig, one where we imagine that we live life on the moon, where the normal rules don’t apply. We seek to capture people in our new world's gravity, pulling them towards us for a moment, offering an escape, where boring is banished, the obvious avoided and where life, is more fun and lighthearted. The logotype is playfully designed to compress down to form a subtle reference to a pig's snout in small spaces and extend out to allow play with horizontal formats and interact with the new TV jingle. We worked extensively with British based type company F37 Foundry to create and develop a custom bespoke type family that would play a key role in Moonpig's new brand identity. Both companies worked together using the F37 Ginger type family as the foundations, creating a new Demi weight called Moonpig Lift-Off. This weight features 3 styles of alternates with random programming, giving it a playful yet structured execution. It consists of 4 subclasses: a regular class for the normal design of the characters, one class for the ‘lift’ characters, another class for the ‘wobbly’ characters and one for the more complex group of characters — those that ‘shake’. A method called ‘Quantum’ was used for the programming. This allowed for a higher degree of randomness, which is defined by the amount of characters affected within a certain group of characters and level of substitution. Personality through tone of voice. Working with the in-house writing team we have established a new tone of voice that brings a glimpse of life on the moon to our customers at every opportunity. Carefully sitting between being too safe and too gimmicky, we offer the antidote to boring by challenging the norm, using cheeky humour with heart. 'Dear customers, we’d love to comment on allegations our employees ride to work on space hoppers. Unfortunately, however, we gotta bounce'. 'Happy Mother’s Day to your #MagicMum. Use #MagicMum to share your most memorable Mum moment'! Landing the new brand internally.